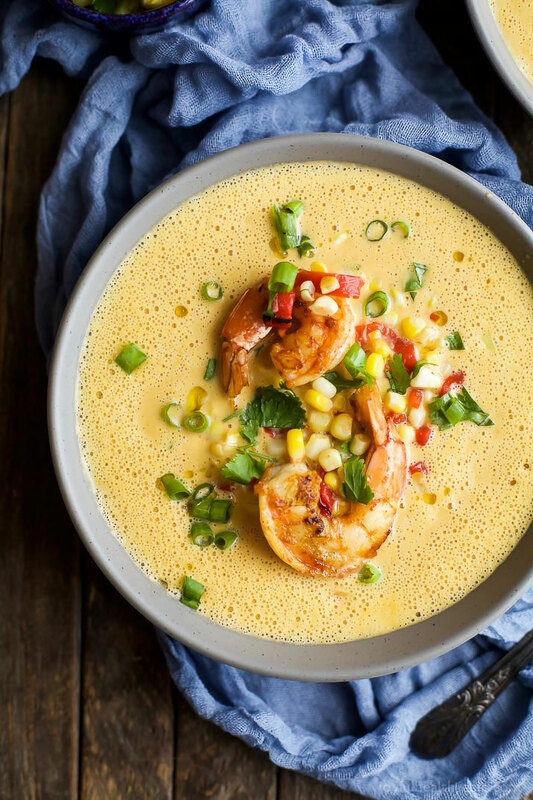 Super fun and delicious Corn Chowder recipe from Sharon at COTTAGE SPICE CO. Melt the butter in a large pot over medium heat. Add the onion and carrots and cook until tender (8 minutes). Stir in garlic, cook an additional minute. Pour in the clam stock & cream. Bring to a boil and quickly reduce to a simmer. Add the potatoes and corn and cook for 10 min. Add shrimp and simmer for 5 more minutes. Sprinkle with parsley, basil, sugar, cayenne, salt & pepper. Simmer 40 minutes, stirring occasionally.